Please join me over at Graphic 45's Blog today for my introduction! I have been invited by Graphic 45 to be one of the 2014 Ambassador's this year. I am so honored to work with this amazing company once again and to also work with this years very talented Design Team. GRAPHIC 45 ROCKS!! Today on the G45's blog I will reveal some new projects I have been working on so go on over and take a gander! More A M A Z I N G creations!! Love all of them!! G45 could not have found a better Ambassador!!! Congratulations Jim, you so deserve this title! Graphic 45 has definitely chosen an Ambassador that they can be proud of as well as honored by the amazing pieces of art you create using their products. I definitely share in your excitement over this opportunity. So looking forward to more of your amazing creations. Hint, hint, are there tutorials in our future for these wonderful works of Art. Congratulations, Jim! A well deserved honor. Your creations are always so detailed and amazing. Love all three fabulous projects. Especially the inspired bath house with the interesting bit of history! Congratulations Jim! More great things happening for a truly nice guy. Love reading your blog and seeing what you are getting up to. Hugs and kisses for Ceasar as well. Very clever projects!!! Happy to see your are an ambassador again for G45! Looking forward to meeting you in person at Steampunk Soiree! Would love to make one of the above pyramids! 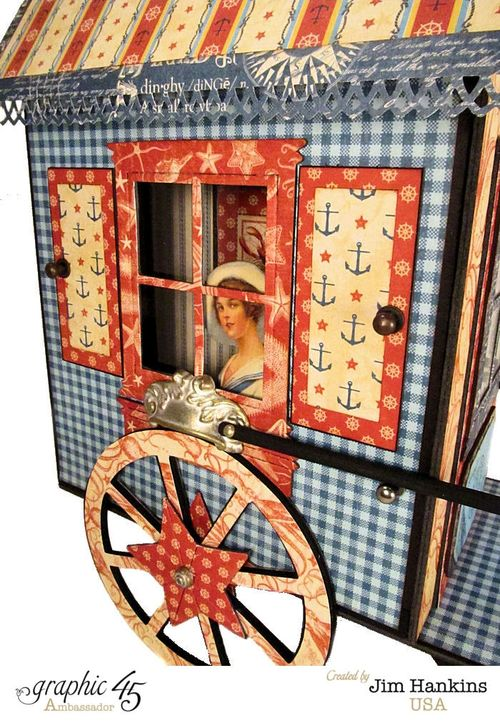 A Gypsy Cart love it!! I just love your projects, so much creativity running through your mind. Congrats to you Jim. You certainly deserve this honor. I just came from the Graphic 45 dite and left a comment there. They are so blessed to have you! Love ya! 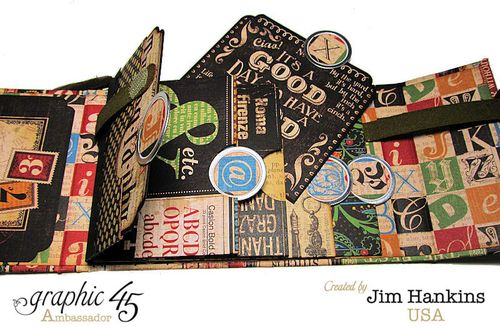 Congrats to you Jim...so happy for you and so deserving....I love...love...your bathing house/machine...so clever...love it..
Congratulations on your new role as Graphic 45 Ambassador. I can't think of anyone more deserving. 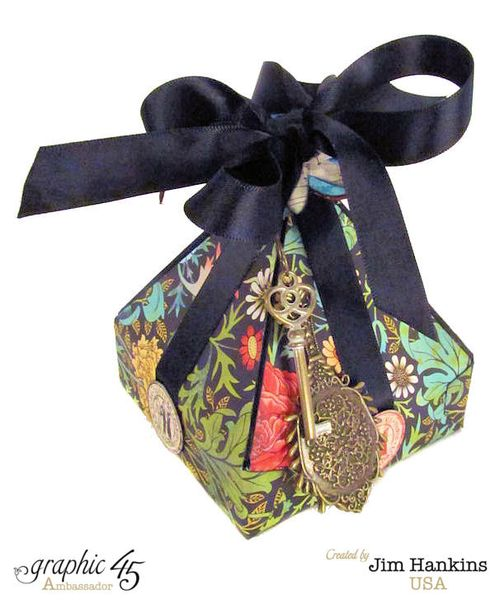 The projects you made for G45 are beyond amazing, and I loved reading about the history of the Bathing Box. Were these projects with instructions, either on the G45 site or on your site?